Dr. Christine Kay is an Associate of L.J. CRAIG & Associates, Inc. Dr. Kay has provided human resource-related services to organizations and associations since 1990. Christine works with the firm to develop and review test materials, write reports and analyze data. She also provides assistance administering assessment center processes. As a private consultant, Dr. Christine Kay is committed to building a human resources management knowledge base for business professionals. Dr. Kay has contributed to the body of human resource-related knowledge through her many initiatives. 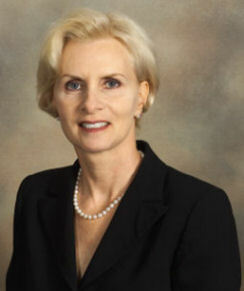 She has published several research articles on human resources management and provided services to local associations, businesses and municipalities, including serving as co-project manager for the City of Boca Raton, Mayor Smith’s Private Sector Survey, Human Resources Task Force, as well as taught business and hospitality courses at Lynn University, Palm Beach Atlantic University, Nova Southeastern University and Florida International University, School of Hospitality and Tourism Management. Dr. Kay’s human resource management projects have included studies on hiring and employment practices, research on industry-specific management competencies, organizational climate surveys and compensation, benefits and employment surveys. She also on a continual basis is involved in industry-education research partnership programs with local universities and businesses, and produces annually for the Palm Beach County Hotel & Lodging Association the Hospitality Education & Training in Palm Beach County, Florida-Your Guide to Hospitality Education and Training in Palm Beach County. Dr. Christine Kay earned her Doctorial degree in Business Administration and MBA from Nova Southeastern University, the H. Wayne Huizenga School of Business & Entrepreneurship. She received her graduate and undergraduate degrees in hospitality management from Florida International University, School of Hospitality and Tourism Management and Lynn University, College of Hospitality Management. Dr. Kay is co-authoring with Dr. Linsley T. DeVeau, 1991- 2002 Dean of Lynn University, College of Hospitality Management, a second edition of the textbook entitled Front Office Management and Operations, contracted under Prentice Hall.